Enhance your outdoor space with the elegant Huntington Gas Fire Pit by Agio. 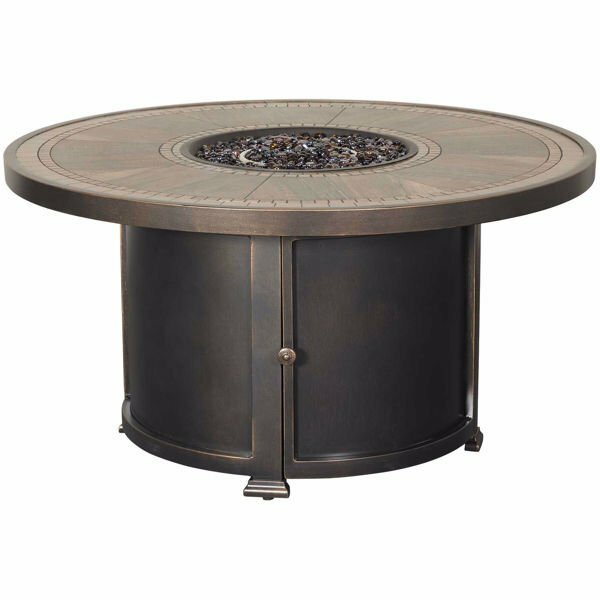 This gas fire pit has a simple design that lets the beauty of the tiled top and antique brass-tone aluminum base shine. The top of the fire pit is inlaid with large wood-look tiles and smaller terracotta-hued tiles with amber luster glass beads providing a glittering bed for your fire. Enhance your outdoor space with the elegant Huntington Gas Fire Pit by Agio. Huntington Gas Fire Pit by Agio.